Do you want to remove bloatware and crapware from your computer? Well, check this list of the best bloatware remover software for Windows 7, 8 and 10. Not all programs are equally easy to uninstall. There are more complicated ones, like the bloatware and crapware that accompanies new computers. There are many ways to classify the software. One of its names is bloatware, of which I spoke in the past, and refers to those programs that are installed by default on new computers such as promotion or advertising. Their intention is good, but in many cases, they are test versions that, at the moment of turning on your PC, are already expired. Besides, they usually take up a lot of disk space that you can devote to other tasks. Another meaning refers to classic, lifelong programs, which over time have grown excessively, so installing them means sacrificing several gigabytes of your primary disk without obtaining the desired benefits. In this sense, you can also call it fatware or crapware. In both cases, it isn’t always easy to uninstall them. Usually, from Add or remove Windows programs (in Control Panel) you should be able to eliminate them. In Windows 10 you can uninstall apps from Settings > System > Apps and Features. But when this option isn’t enough, you must turn to more efficient options, such as the bloatware remover software. 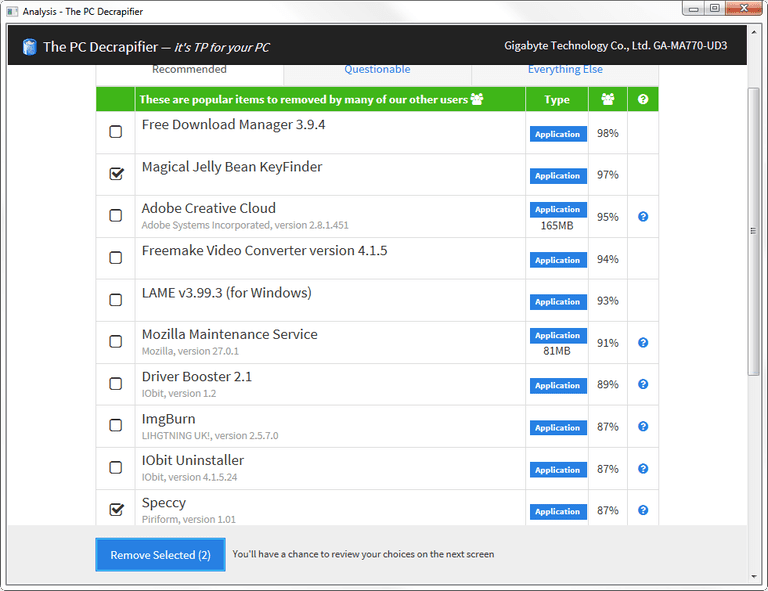 Specialized in this type of bloatware remover, The PC Decrapifier will help you detect and eliminate all the bloatware and crapware that has fallen on our computer. 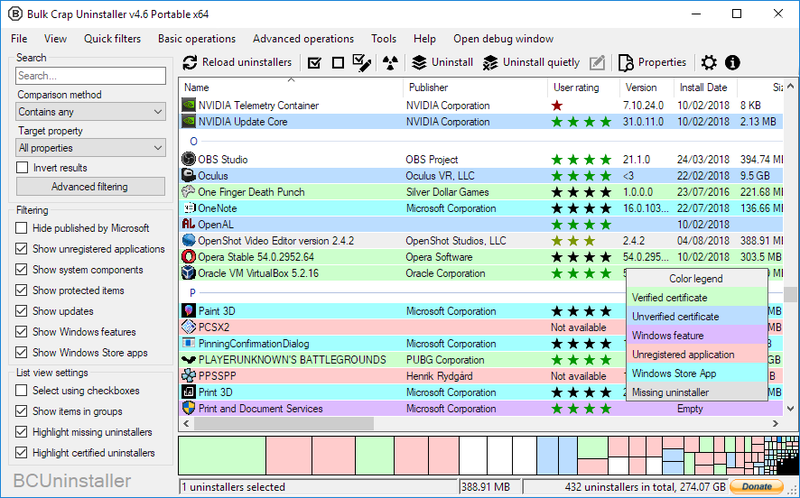 Compatible with Windows 7, 8 and 10, it tells you which programs are considered unnecessary or useless with the help of the opinion of other users. It is up to you to decide to uninstall them thanks to the tool itself, which handles the entire process, also indicating how much that program occupies. 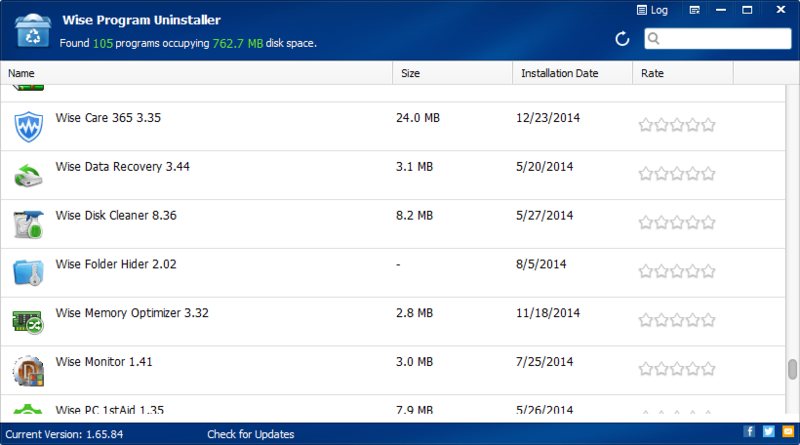 With Bulk Crap Uninstaller you solve several problems since it is not like any uninstaller. Among other things, it allows you to uninstall poorly installed programs, without their uninstaller or that are resistant to being deleted. Bulk Crap Uninstaller shows all installed apps and classifies them by color so that you differentiate official Windows programs and another one with or without an uninstaller. Among other things, you can uninstall several apps at once. Besides, it incorporates a manual uninstall mode that shows all the elements to be deleted detected by this tool. It doesn’t require installation; it occupies little space and is simple but effective. Wise Program Uninstaller is a bloatware remover that forces the erasure of those more resistant programs. Thus, you can choose between safe uninstallation, the usual one that uses the official uninstaller of each app, and forced uninstallation, for those more elusive programs. In the second case, it will scan the disk in search of all those files related to the program to be deleted and shows them to you so you can decide whether to remove them or not. Designed to manage all kinds of bloatware and crapware, Comodo Programs Manager helps you see what programs you have installed, as well as Windows drivers and components. 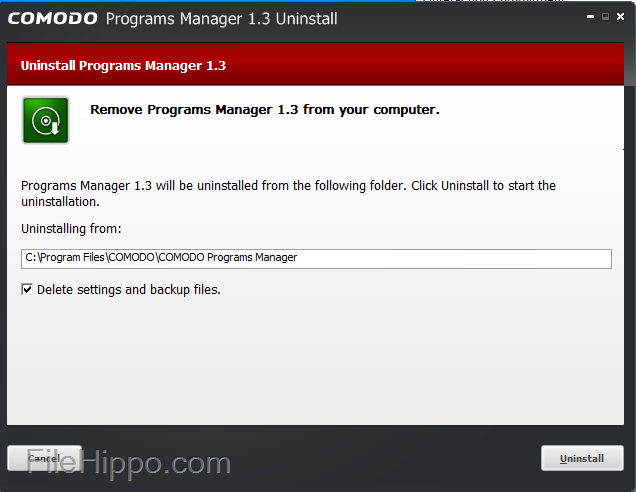 Besides, Comodo Programs Manager helps you to uninstall apps that you no longer need, whether they are left or not. Among other functions, it detects files related to programs to be deleted, as well as the changes made in Windows, allowing to finish with incomplete or interrupted uninstallations, including even antivirus functions. Decrap My Computer is one of the best bloatware remover software that you can find for Windows. One of the best advantages of Decrap My Computer is that it has been designed to carry out a complete unattended uninstall of all pre-installed junk software that you may encounter on your way. The download and installation of this program are straightforward, download the executable from this link and then double click on it to start your installation. Once these procedures have been completed, Decrap My Computer will begin scanning the computer for bloatware and crapware. It should be noted that Decrap has been designed to recognize some of the most popular bloatware software, and includes the possibility to uninstall programs from Asus completely, HP, Dell, Toshiba, and many others. At the end of the analysis of the team, we will have two options available to uninstall the bloatware: The first one is called “Automatic Mode” and the second one is “Manual Mode”. The first of the options allows the system to decide which apps to eliminate and which ones to leave. This isn’t a sagacious choice, because no matter how much heuristic the program has, it is possible that it is wrong and compromises controllers or even the system. The second of the options, “Manual,” allows you better control over the applications that will be eliminated, since it will present a list with all the apps that the program considers as bloatware. You select the software that you want to remove and press the “Next” button. After selecting the software to be removed, the app will ask us to create a restoration point, what you will have to do if you want to avoid any problems. At this point, it should be noted that if you are not sure about the function of one of these programs, it is best to investigate using Google. When Decrap My Computer has finished deleting all the bloatware from your system, it will offer you the option to clean the registry; If you believe that you need it, it doesn’t hurt. When this process finishes, and for greater security, it is convenient to restart Windows. 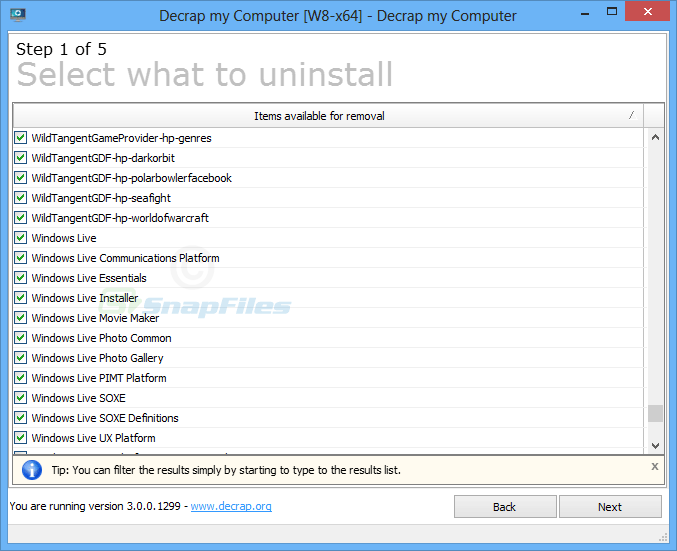 Undoubtedly, Decrap is a bloatware remover software that offers invaluable help, especially for first-time users when buying a new PC. In Microsoft itself, they are aware that sometimes manufacturers can go hand in hand when installing bloatware, and that is why they have created their bloatware remover software to completely clean Windows 10. It is called Refresh Windows Tool, and it serves to delete ALL non-native apps of the operating system, including some of Microsoft itself as Office. If only specific applications installed by the manufacturer bother you, it is quicker to uninstall them as has always been done, by right clicking on them in the start menu and choosing the Uninstall option. But if you want to eliminate several apps or start from scratch with your operating system this option may interest you. Microsoft warns that performing this process may cause you to lose some digital licenses, as well as content associated with your apps. You can also lose the content you have generated or downloaded with these apps, so it is advisable to make a backup copy if you are going to use it on a computer where you have been working for some time. If you want to use it, all you have to do is download the app from its website and execute it. It doesn’t need installation, it will only ask you permission to make changes in your device and that you accept the license before taking you directly to the main menu. 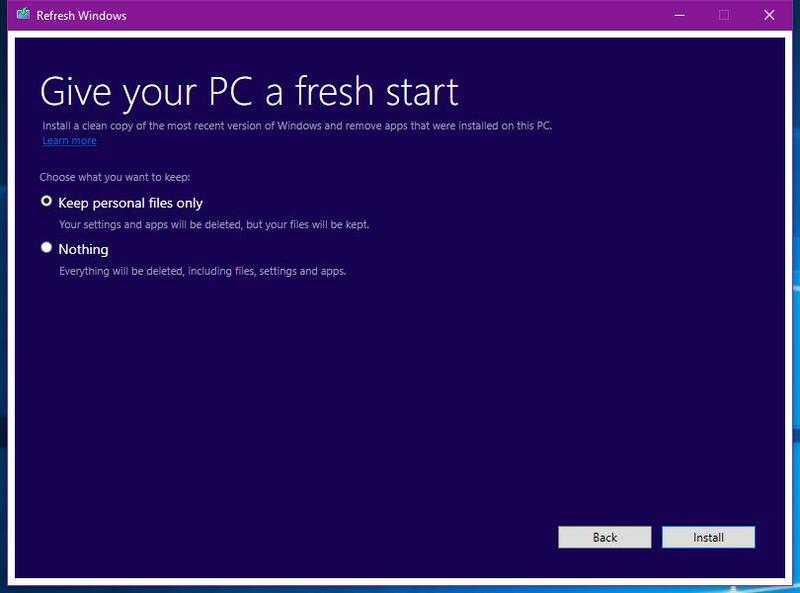 It will explain that the tool is to start from scratch with Windows 10 and will give you two options to choose from. The options are “Keep only personal files” and “Nothing.” The first will make a kind of formatting of the system to leave clean with only the native and essential applications of Windows 10 but keeping personal files such as photographs, videos or documents. The second option will erase absolutely everything. And that’s it, all you have to do is choose one of the two options and click on the Start button to start the process. This may take a while, but when you finish, you can begin working with a Windows 10 in which only you decide what you want to have installed. 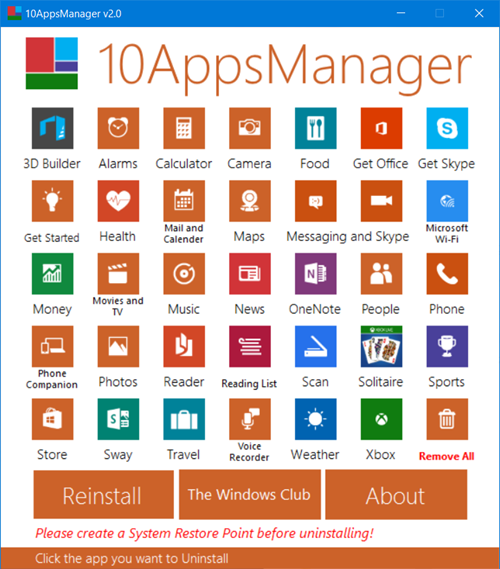 10AppsManager and is specially developed to uninstall every one of the programs that come preinstalled in Windows 10. It is a portable bloatware remover software, that you don’t even have to install in your computer, but it is enough to open it in a standard way and use its functions. You have two possibilities: either manually uninstall only the apps that you want to remove from the computer, or automatically let the program uninstall all Windows 10 bloatware. When you open the bloatware remover software, you will find that all the bloatware appears. Each application has its icon, and if you click on it, you can delete the app, or reinstall it in case you had previously uninstalled it. Besides, you can also choose the last option that appears below on the right, in which the program gives you the option to uninstall everything. By clicking on this option, as is evident, you can uninstall all the bloatware with a single click; however, this option will take a little longer. Why should you do it? Because some of these apps consume CPU or RAM resources running in the background. And what they all agree on is that they occupy internal storage space unnecessarily. If any of them is useful, as perhaps Xbox to capture the screen while you are playing, you can always leave some and delete the rest permanently. So far those were the best bloatware remover software that you can download for free to remove those unwanted apps and software that comes preinstalled on your computer. Do you use another bloatware remover software? Let me know in the comments section to add it to the list.